For your senior pictures here in California we're all about casual. Casual is great but you still need to pay attention to your nails. Since your hands will be in a lot of the pictures that means that your nails will be seen. Jagged, 1/2 polished nails just won't cut it. The good news is that thanks to the nail miracle I like to call gel nails, your nails can be perfect! Right before your photoshoot make sure to make a trip to your favorite nail salon to pamper your fingers and toes. As far as colors, here are our recommendations. The white french manicure is perfect for senior pictures because it is classic and makes your hands look good without taking attention away from your gorgeous face. Other color that look amazing are light neutral tones, light pinks and very subtle neutral toned sparkle. 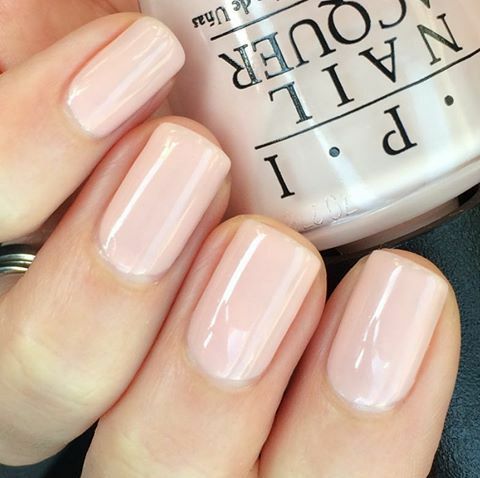 What is your favorite neutral nail polish color? What it's like on an LK Photoshoots set? This is a question we get all the time. What will it be like at my photoshoot? We hear so many concerns about posing, feeling awkward, choosing locations and feeling confident. Booking your senior pictures with LK Photoshoots will mean that you don't have to worry about these things. Don't worry about posing, we don't expect you to know everything and we will tell you exactly what to do. We're so silly and energetic that you won't have to worry about being awkward because we promise to keep everything light hearted and fun. You'll forget you're being photographed and feel a lot like you're having a super fun day. We have lots of epic locations to choose from. We will take care of everything from making sure your hair and makeup looks perfect to literally showing you how to pose. 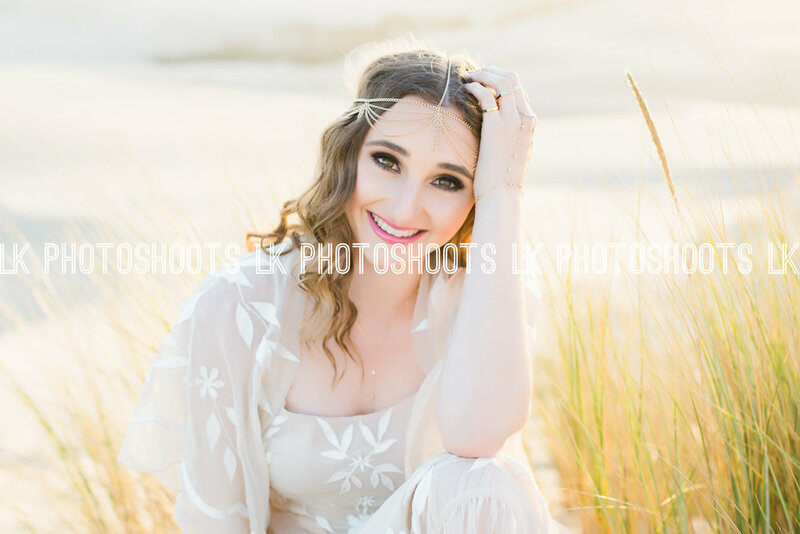 Miss Kelsey was one of our Class of 2017 seniors from Arroyo Grande High School. Let me tell you something about her. In the summer of 2015, she came with her friend Macy to her senior pictures. 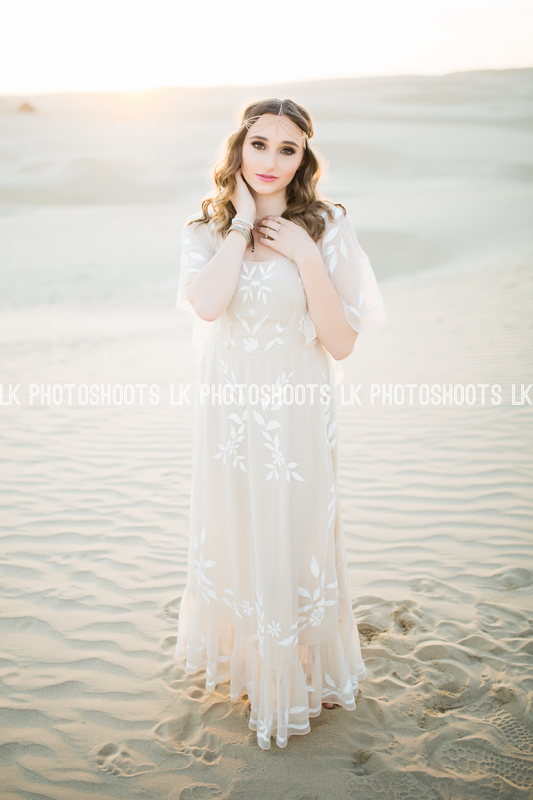 She was so helpful and fun and I was so excited when she said "I have already decided that I am having LK Photoshoots take my pictures next summer!" I was thrilled and honestly looked forward to her shoot from that moment on. 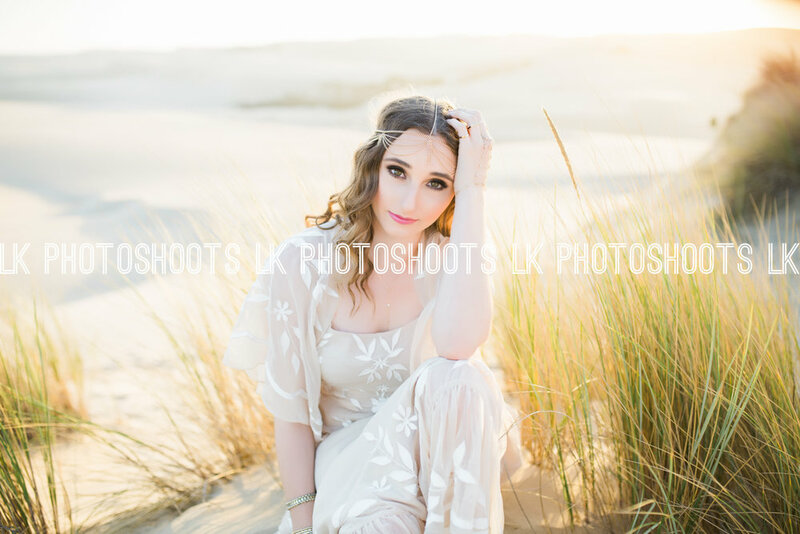 Sure enough she booked with us and the shoot was gorgeous. The minute we needed a model for a promo shoot, I thought of Kelsey. Of course she agreed and she was flawless.